Wondering what to cook this holiday weekend? 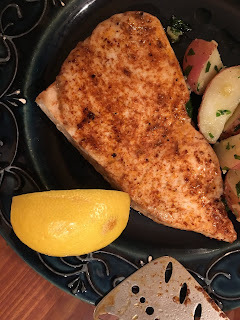 This swordfish makes for a special main course, or, appetizer. 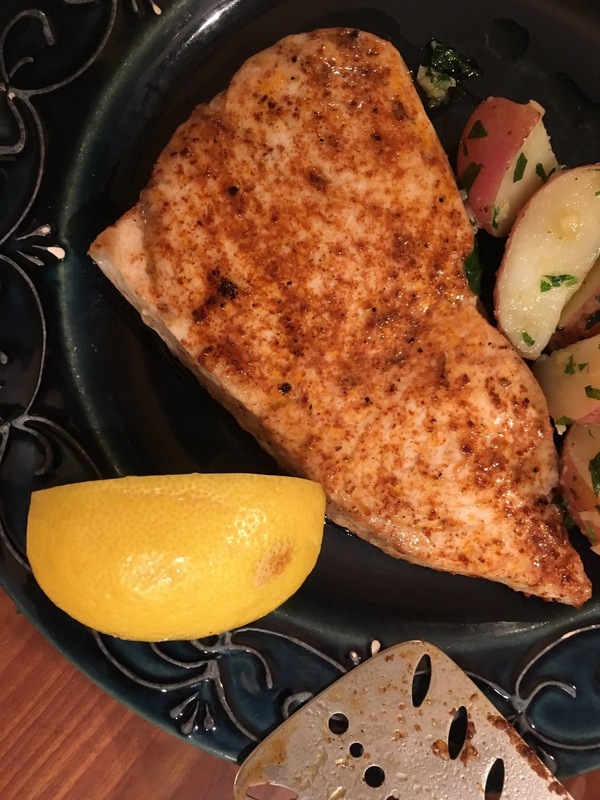 Preheat your oven to 400 then season your swordfish steaks liberally with salt and chili powder. Heat a teaspoon of oil in an oven proof pan over medium heat then brown the swordfish steaks for about a minute on each side. Transfer the pan to the oven and cook for approximately 8-10 minutes depending on the thickness. Serve with lemon or lime. And if chili powder isn’t your thing, try using paprika, Old Bay, black pepper, or nearly any other ground spice.